With its almost perfect year-round weather, natural beauty and some of the best beaches in America, it’s no secret why people flock to Malibu from all over the world. And for all you foodies out there, having a rock-solid plan for where and what to eat is a must! In fact, if you are a real foodie, your itinerary is probably built around eating. If you’re short on time and don’t want to read any further, just go to Nobu. Pretty much everything on the menu is delicious, and yes it can get a little pricey, but if you’re looking for a world-class, ocean-view experience with food to match, you’ve found it. Usually, the best recommendations for food come from the locals, and we are all pretty much food obsessed here at The Malibu Life. So here are 5 foods you have to try when visiting Malibu. I have to vote for Saddle Peak Lodge as the restaurant someone needs to try while visiting Malibu. It’s perched between Calabasas and Malibu - the two towns I have spent 90% of my life in and nestled in a residential neighborhood of horse properties and oak trees. The elk is the dish you want to try and it's not like you can order elk off the menu often. Over 30 years ago, my parents used to drive me up Malibu Canyon to eat there and I remember the hostess always wore a floor length evening gown - often red - and I felt like I was in a castle or far off hinting lodge as I walked through the different dining rooms with game hanging from the walls watching me head to my table. It's changed over the decades but is still a unique, romantic and solid restaurant. You need to try the famous Guava cake! 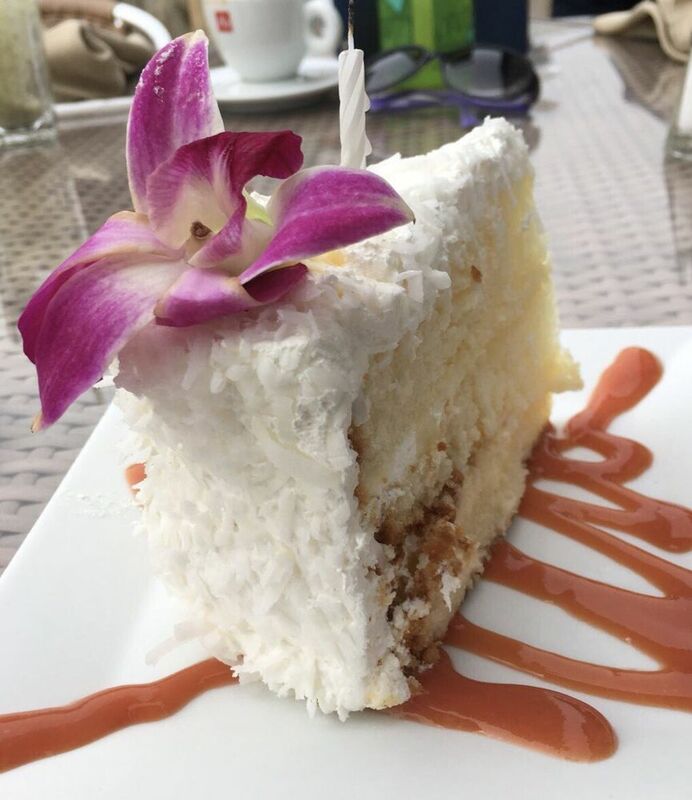 The puree on the cake is the closest thing to the real fruit off the tree, and it makes me feel like I am back in Hawaii! Everything else on the menu is honestly so delicious :) The Filet Mignon and grilled artichokes are also amazing! The Huli-Huli Chicken from Kristy’s Roadhouse (on Kanan and Sierra Creek Road). It's her dad’s recipe and you need to get there early to buy them because they usually sell out by the afternoon. The Old Place. It’s where I go to get a Fred Flintstone type steak. At any time you could see a celebrity at the bar just hanging out. Pretty sure it’s a converted saloon and next door is a winery. They usually have a person going booth to booth playing guitar. A true step back in time, like Westworld. 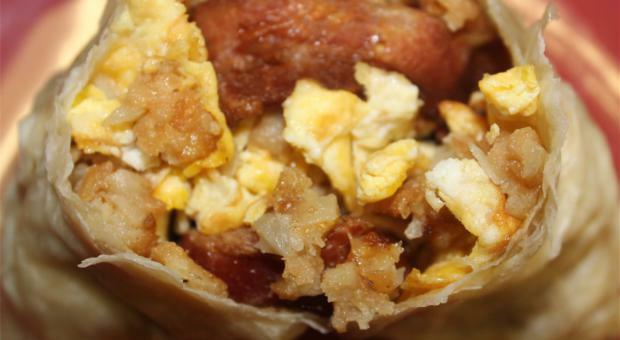 Country kitchen breakfast burritos are the go-to breakfast for me and my friends on the weekends. It’s nice for us because we live close enough to walk there, but it is worth any drive. They use tater tots instead of potatoes and it makes a world of difference. They are also pretty good sized burritos for about $7. Being a little hole in the wall spot in Malibu, it's kind of cool that not everyone knows about it. It's popular with the locals that do know about it, but I can't imagine how busy they would be in the morning if everyone knew. I’m not really one for salads, give me a cheeseburger and fries any day of the week and I’ll be happy. But whenever I think about Malibu, my first thought always goes to the Be Good salad from John’s Garden. Nom! I don’t really eat much fish either, you could call me a fussy eater. 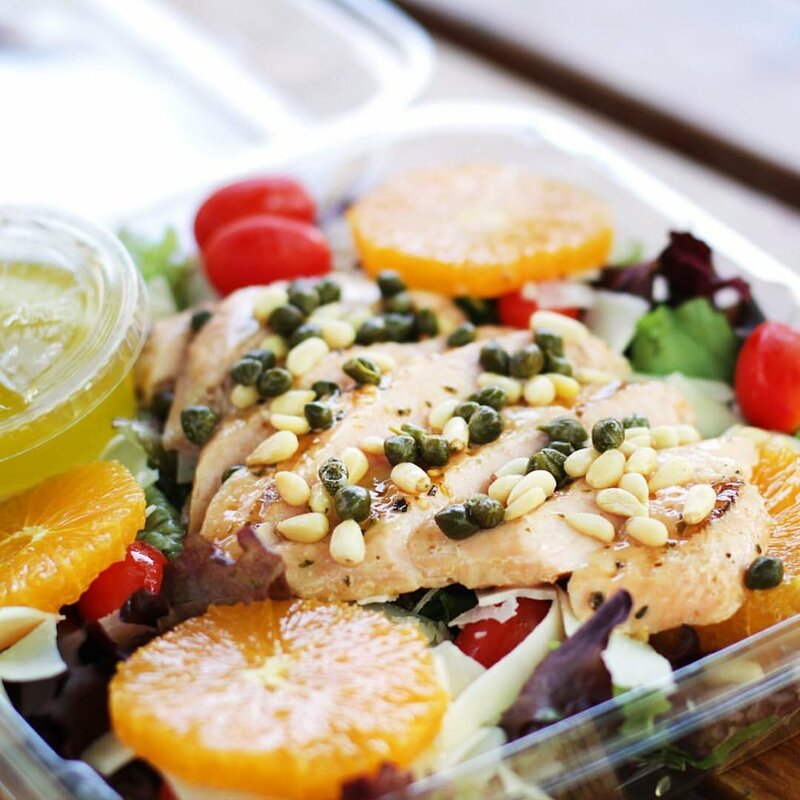 But this salmon salad is amazing. I’m also going to take their word for it and assume that I am being good to my body. Get a banana choc milkshake. Just trust me.